Warning! Sorry, property # 226 unavailable now! Steal away to one of the exclusive boutique ocean front residences in Brooklyn and rediscover Sea Gate, a private gated community on the shores of the Atlantic Ocean, overlooking miles of beaches and panoramic views of Lower New York Harbor and the Verrazano-Narrows Bridge. The Aqua Vista at Sea Gate is a newly developed condominium complex that boasts only 6 units and offers a choice of one, two, and three-bedroom residences with breathtaking bay, ocean, or skyline views from your private balcony, ranging in size from 500 to 1,100 square feet. A strategic waterfront location, calmness and quietness, make this a perfect getaway from the chaos of the Metropolis. Other alluring residence features include modern layouts, private balconies, an elegant kitchen/dining setting with upgraded appliance ensemble, spacious closets, washer/dryers, and architectural detailing. 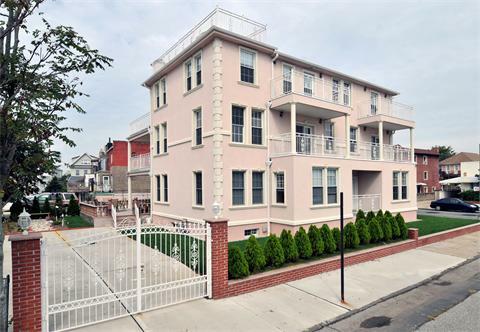 For information on availability and showing instructions please contact the listing agent Yelena Vorovich 718-447-2626. OPEN HOUSE SATURDAY & SUNDAY 1:00PM-4:00PM.